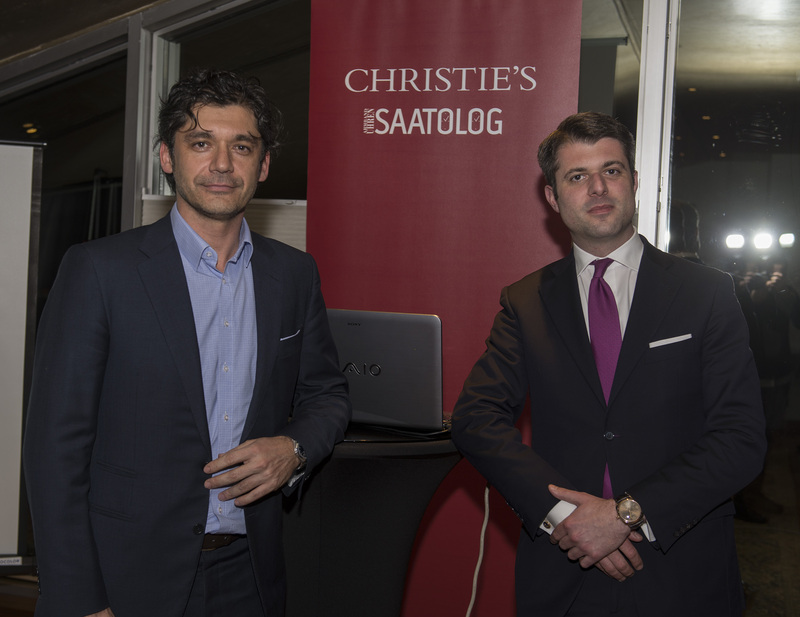 World most recognized watch catalog Armband Uhren and the most known auction house Christie's host a speacial event focusing on the subject " Current Trends at the Watch World ". 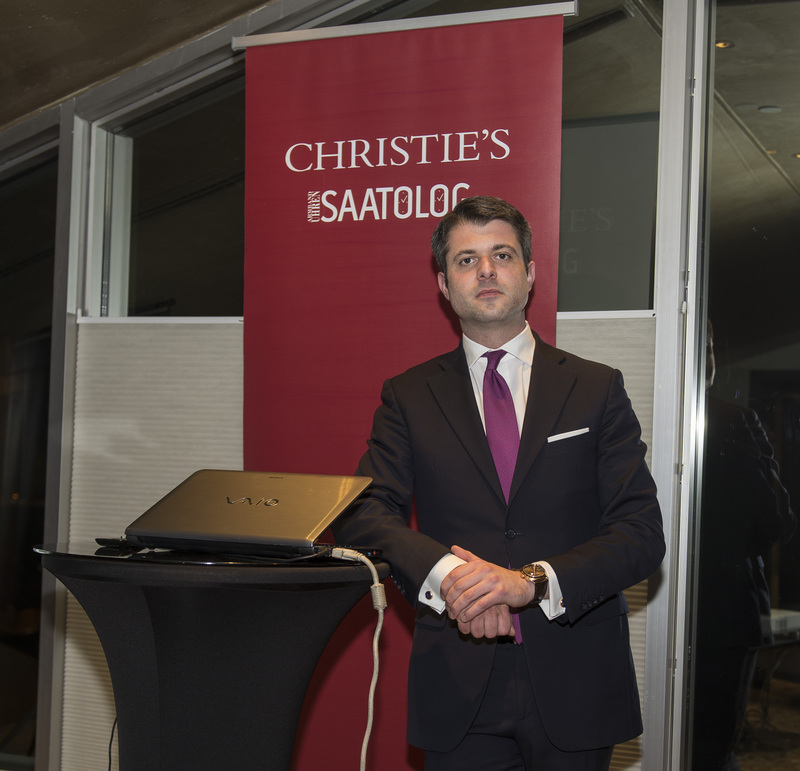 Being here in Turkey for this very important event, Mr.Thomas Perazzi - Managing Director for the Watches & Clocks Division of Christie's answered our questions.
" Don't throw away the paper work came along with your watch.. Even the price tag.. " says Thomas Perazzi. 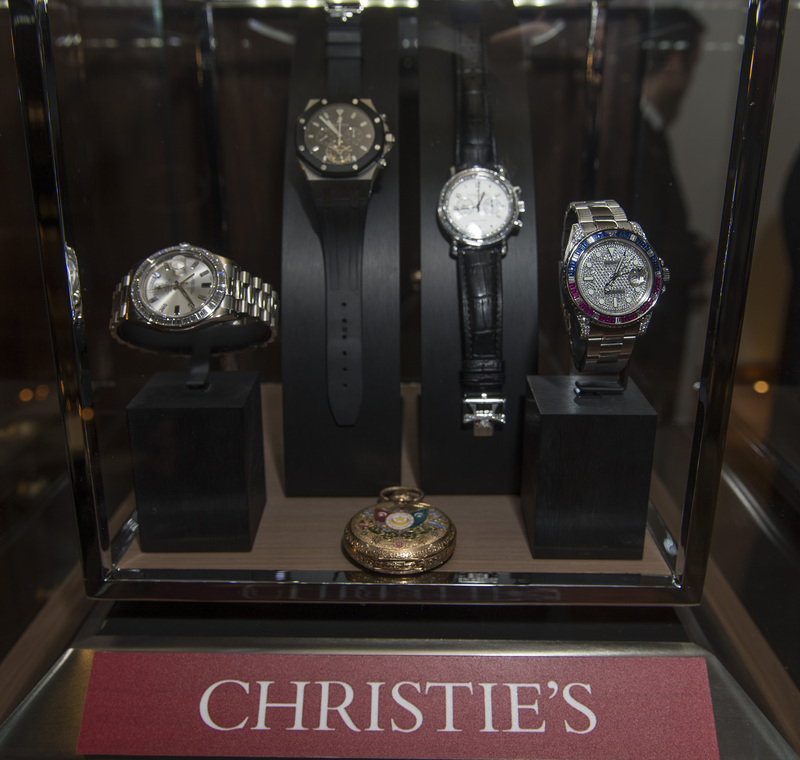 He is the Managing Director for the Watches & Clocks Division of the world known auction house Christie's. A sharp and well experienced figure on his field. 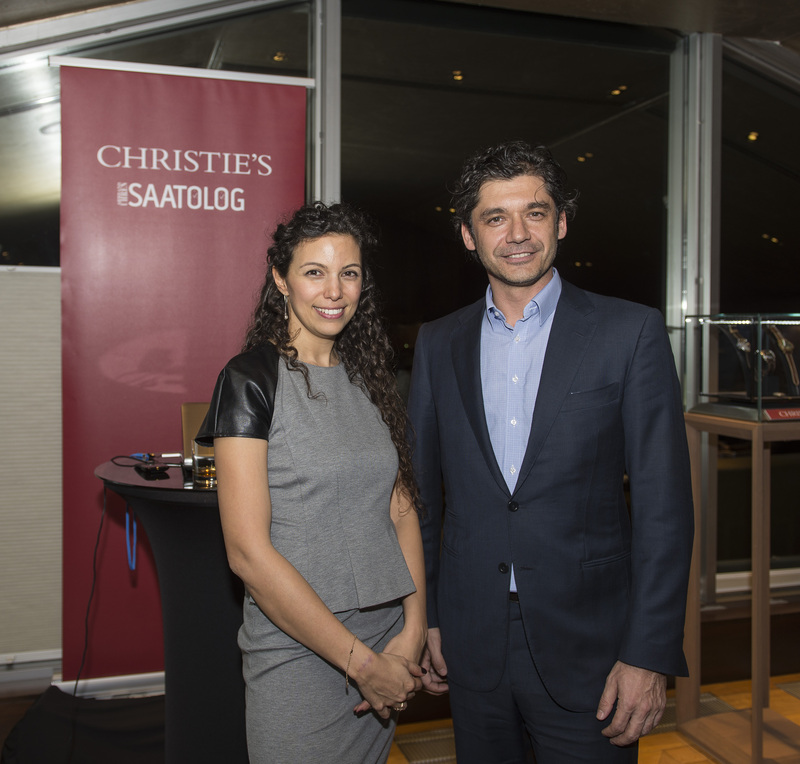 Saatolog and Christie's had recently hosted a brillant event at the Park Hyatt Hotel - Istanbul. 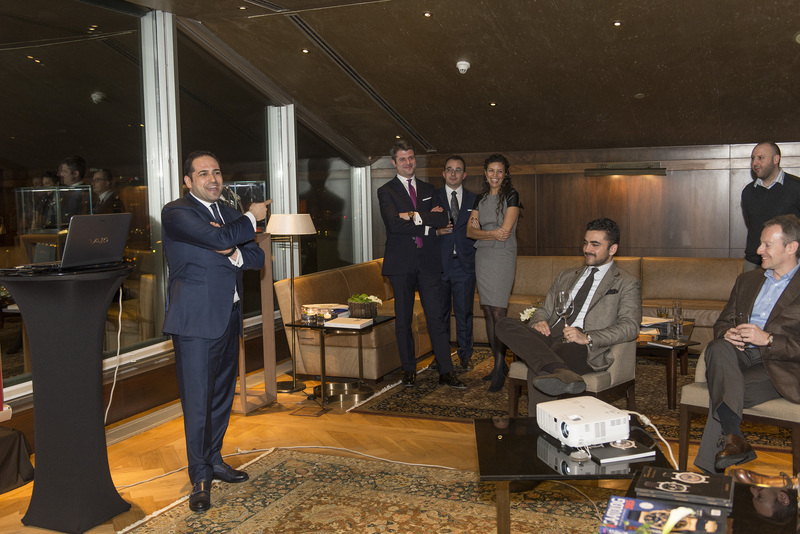 We had the opportunity to have a speacial interview with Thomas Perazzi. 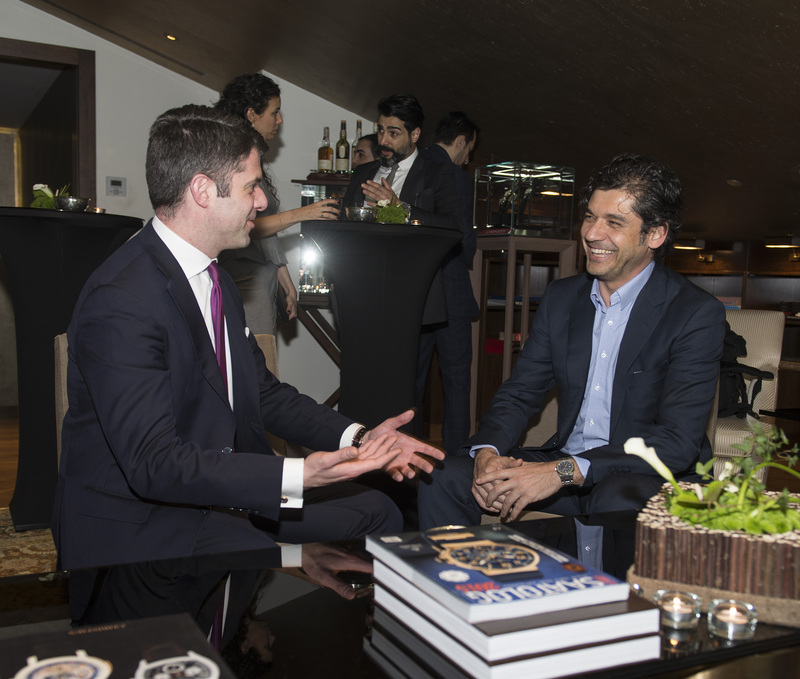 During our pleasent conversation with Thomas we asked him about the ROLEX Daytona he was wearing. 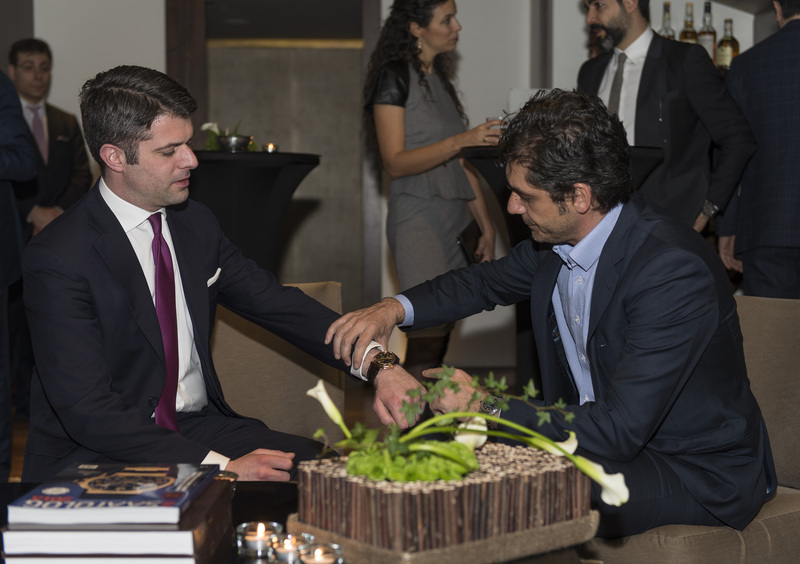 Sounding quite bold and confident " I'd like to wear exactly this watch if I was limited to own one timepiece only.. " he says.. As we kept talking, we had another special guest coming in Mr.Özgür Bayoğlu - the editor of Saatolog. 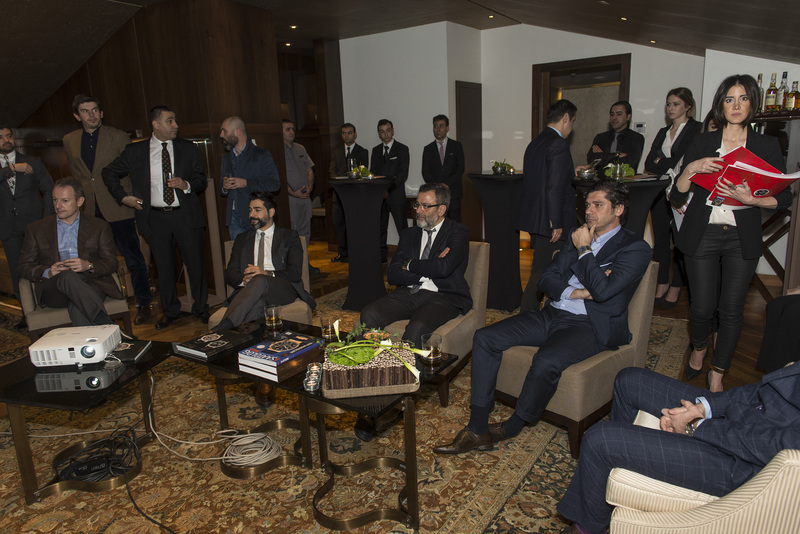 The watch night got more enjoying as we got Ozgur's colorful personality. Thomas states that if we are looking for a watch to buy today and expect it's value to be increased tomorrow, condition should be the most important parameter we must be seeking for. Considering the current production numbers for the major manufacturers at the market, he is sure that condition will be the decision maker parameter in the near future for a top dollar deal. 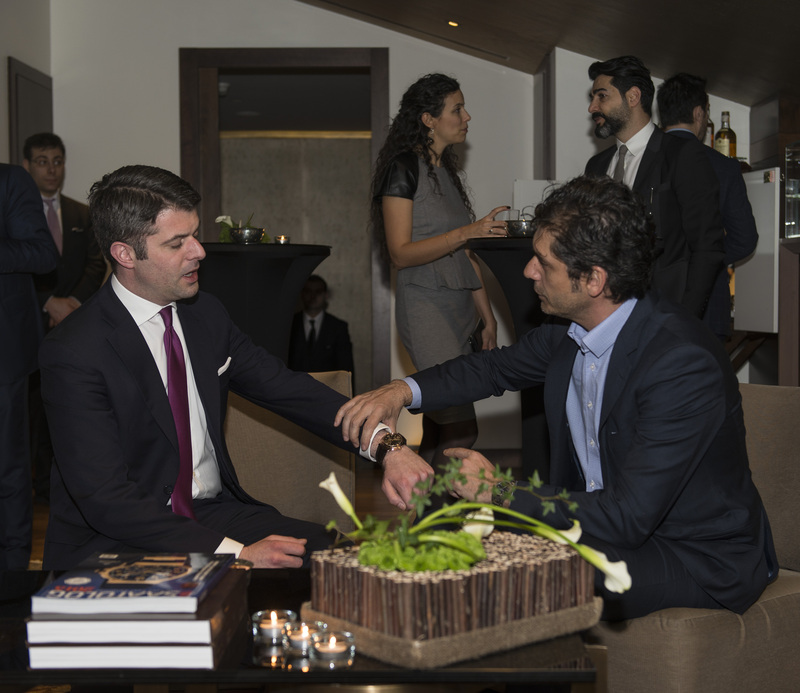 Being quite mysterious and silent when it comes to the timepieces at his own collection, Thomas suggests to buy rare pieces and wear them carefully.
" 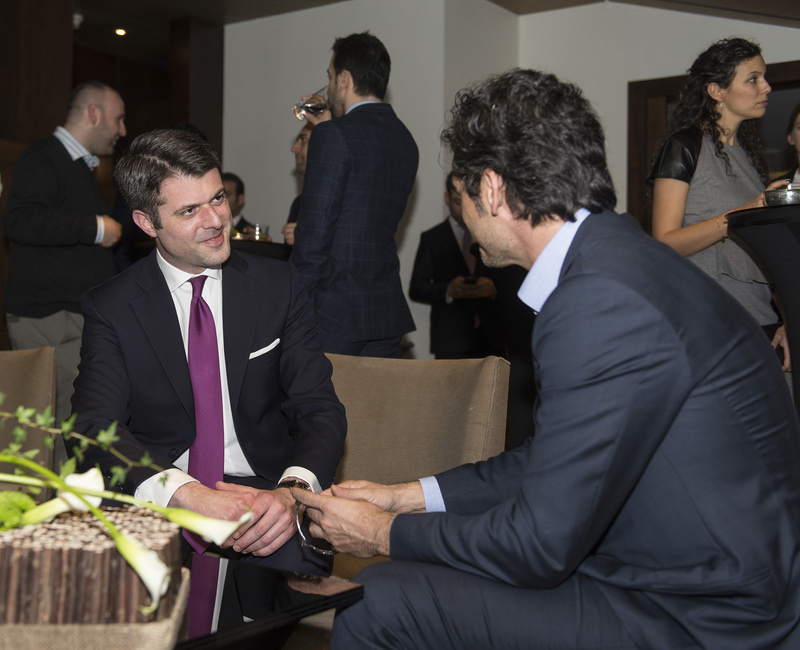 I chose to build my academic career on watches " Thomas says. 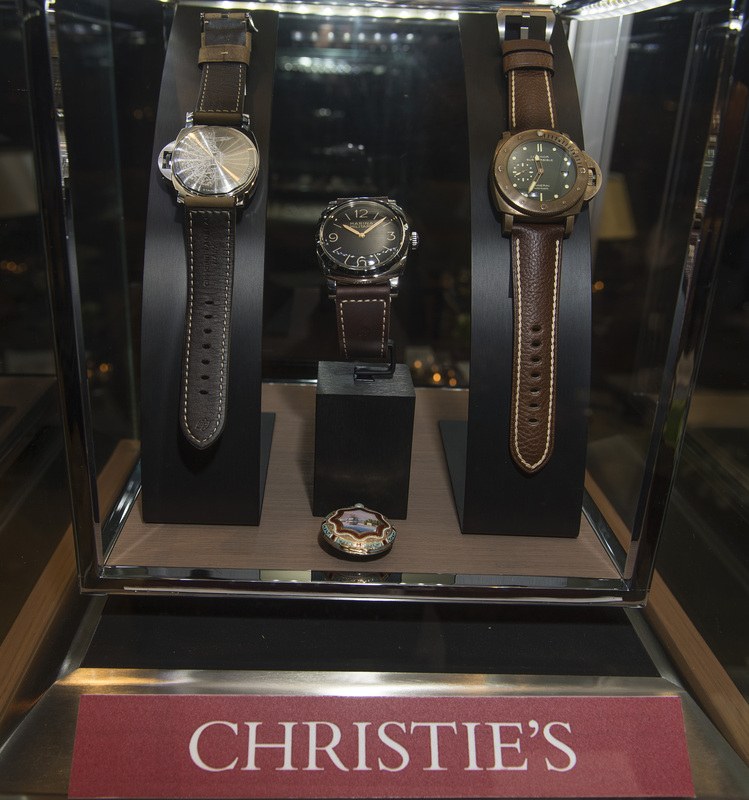 Initally started as a hobby at his teenager years watches have became a profession for him to make his living. Being the man with the hammer at the auctions Thomas admits he loves his job. 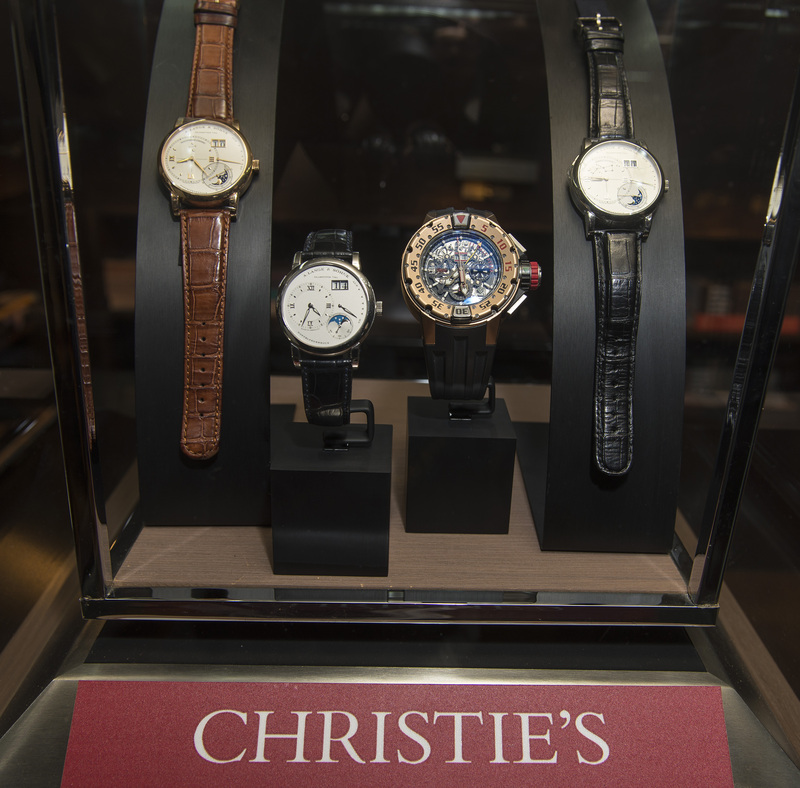 It is also one of Thomas Perazzi's job description titles deciding which watches will be at the auction or not after performing the necessary searching, testing etc. . We asked our half Italian ( resides in Switzerland ) friend if he's ever been mistaken with his decisions regarding the watches. " 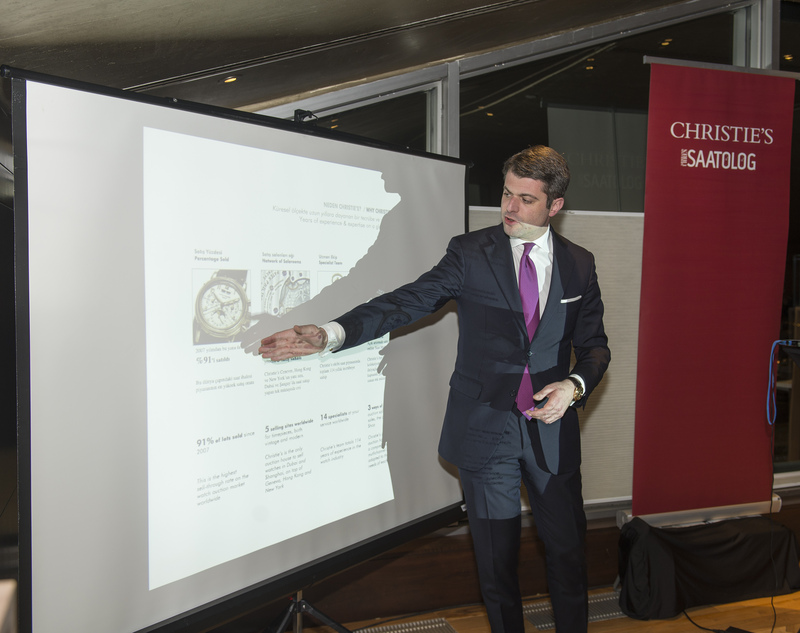 Naturally.. " is what we got from Thomas as he continues with expressing that part is one of the most difficult ones of what he's doing at Christie's. He says they end up with lots of surprizes before and after the auctions. As a solid example, he mentions about a pocket watch that has been personally brought to his office by his owner which initially estimated to worth 5 to 10000USD but made Thomas to rock his hammer at a shocking 1.2 million USD as the watch came out to be a unique Patek Philippe timepiece exclusively manufactured for it's owner only. When I asked him about his latest acquisition his answer was Panerai PAM00587 also known as Marina Militare - definitely a very sought after Panerai nowadays. While saying there was no speacial reason for getting that watch he winks(!) at us. 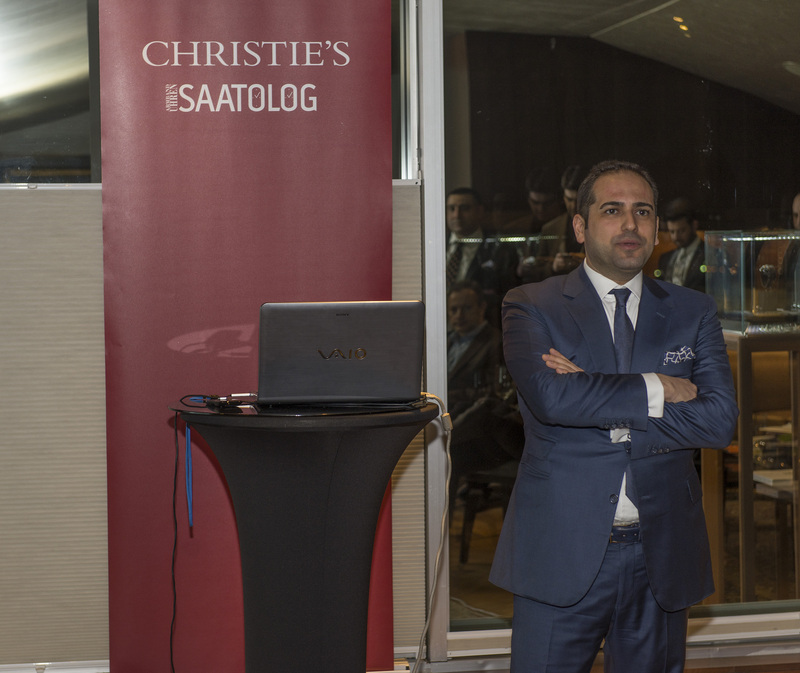 The event opens with the presantation of Eda Kehale ( Christie's Turkey Advisor ) and Özgür Bayoğlu before Thomas gets behind the microphone. 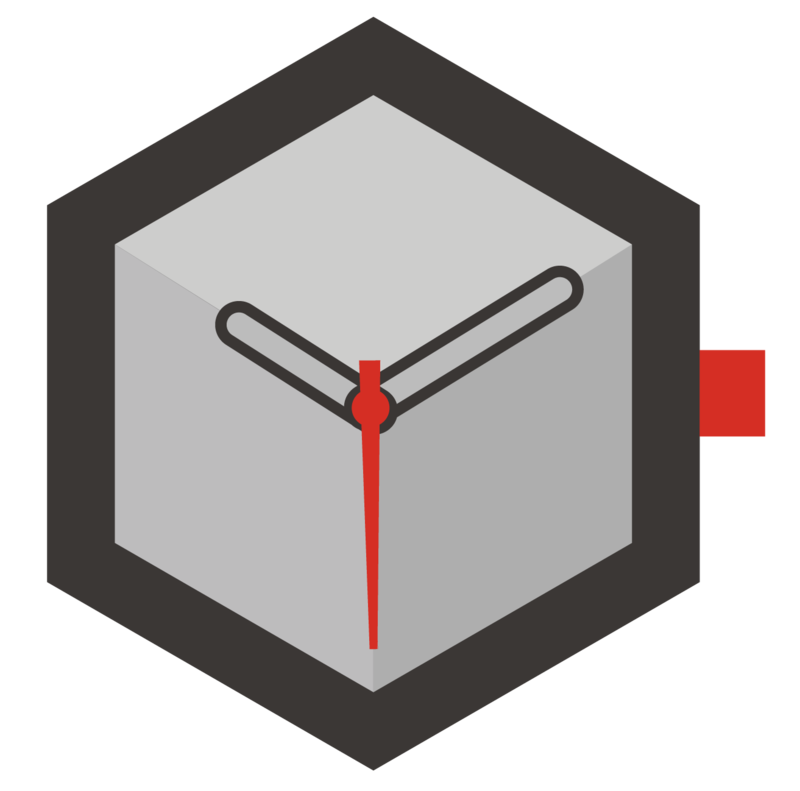 We get lots of information about Christie's such as them being the leader at their area together with statistics. 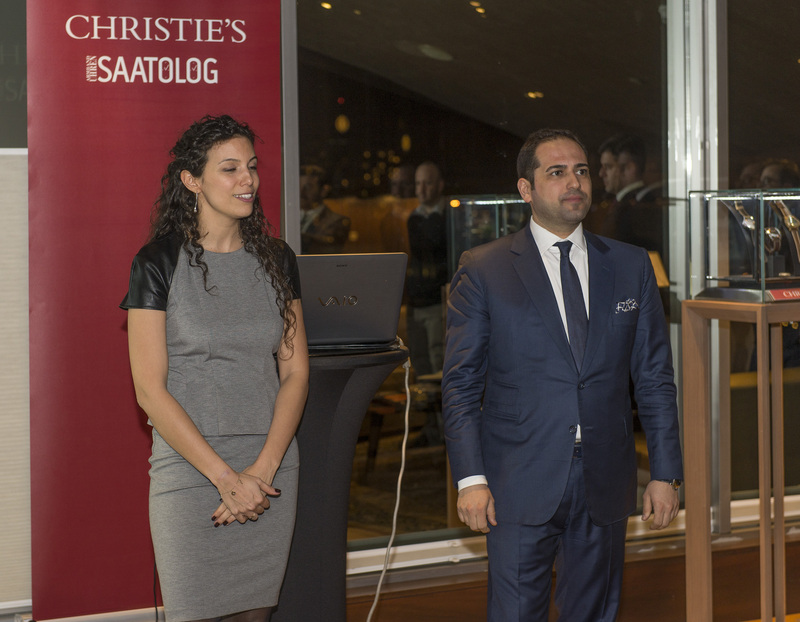 Expressing his gladness about Christie's presence at Turkey he states they are willing to have more upcoming events in the near future. After his informative speech we continue our conversation. 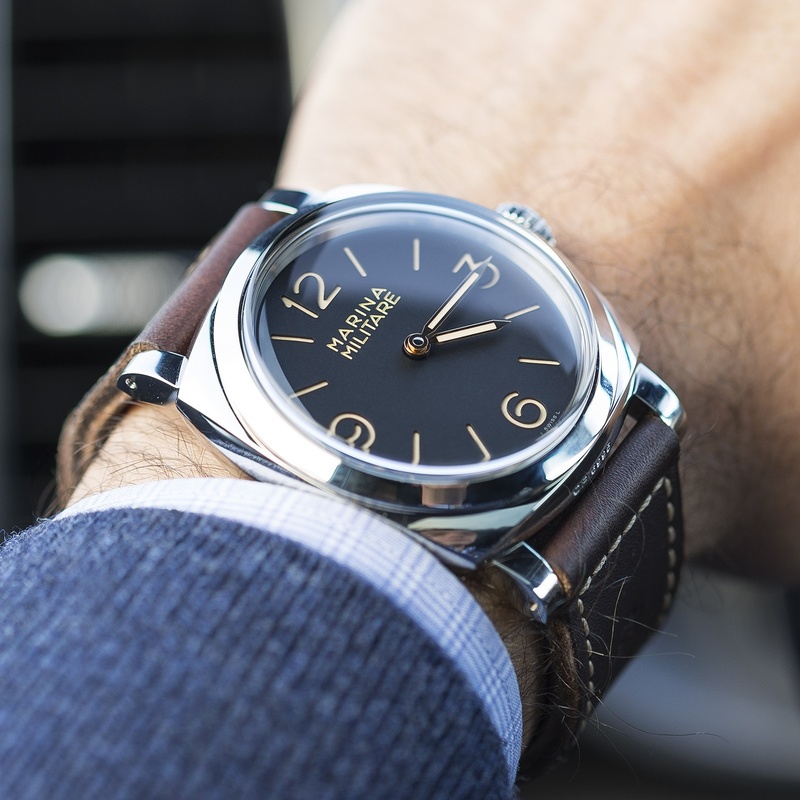 When we notice the Panerai he is wearing and asked about his thoughts about it he says " It's a versatile watch.. ". A pink gold case with 45mm diameter and a brown dial make this watch wearable almost any occasion he adds. We thank Thomas for this ultimately pleasing conversation and looking forward to meet him again soon.